A U.S. federal judge on Monday blocked the Trump administration’s efforts to detain migrant children and their families seeking asylum in the U.S. for indefinite periods of time. 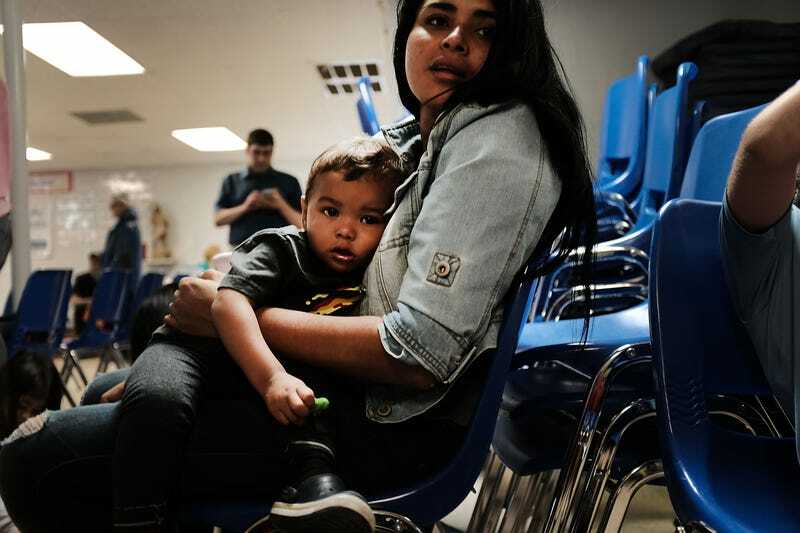 As the New York Times reports, Judge Dolly M. Gee of the Federal District Court in Los Angeles delivered the ruling, which shot down every argument offered by the Department of Justice to keep migrant families in long-term detention. The DOJ had sought to overturn the 1997 Flores Agreement, which caps detention for migrant children at 20 days. Judge Gee also rejected the Trump administration’s claim that not reversing the Flores decree had pushed more migrant families, particularly from Central America, to seek asylum in the U.S. Many of these families are escaping violence and deep poverty resulting from decades of American foreign policy. The government, however, argued that migrant families attempting to cross the U.S.-Mexico border did so with the belief that, if they had a child in hand, they could evade detention. “Any number of other factors could have caused the increase in illegal border crossings, including civil strife, economic degradation, and fear of death in the migrants’ home countries,” Judge Gee countered. Today also marks the deadline for the Trump administration to reunite 102 named migrant children with their families. The deadline was the result of a ruling by U.S. District Judge Dana Sabraw, who ordered immigration officials to reunite all children under 5 with their parents by July 10. Children ages 5 to 17 detained by U.S. Customs and Border Patrol must be reunited with their families by July 26, according to The Hill. As of late last week, nearly 3,000 migrant children were still separated from their families.